Experience the real Okinawa at Ryukyu Mura! Ryukyu Mura theme park is located in Onna-son (恩納村). 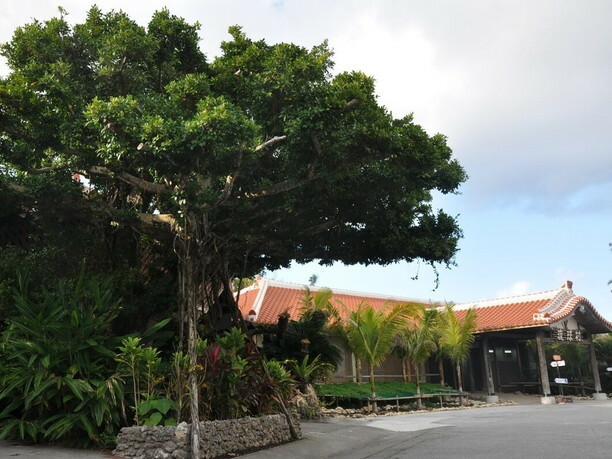 This Okinawa resort is a theme park where you can experience lots of Ryukyu (Old Okinawa) culture. One of the features of this theme park is a 100-year-old house that was moved here from elsewhere on Okinawa. This traditional red-tiled roof building is a registered tangible cultural property of the country. 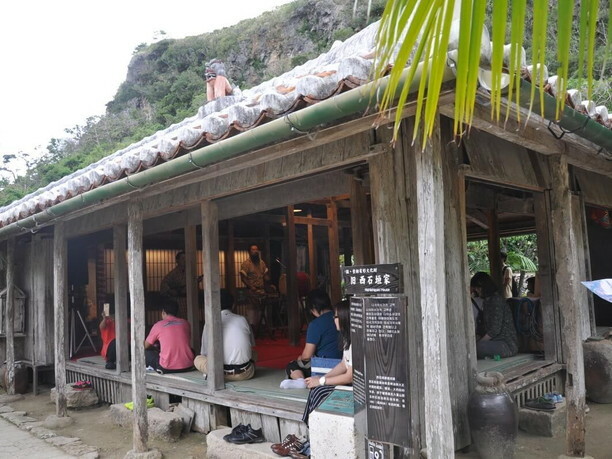 Come and enjoy traditional Okinawa culture through the numerous enjoyable playing experiences. Travel back in time to the Ryukyu era! There are a lot of trees that were planted here that are only found only in Okinawa. It is a good old atmosphere from yesteryear. When visiting here it is like you stepped back in time as you walk through this laid-back village from the Ryukyu era. It is full of nostalgic, and cozy feeling experiences. 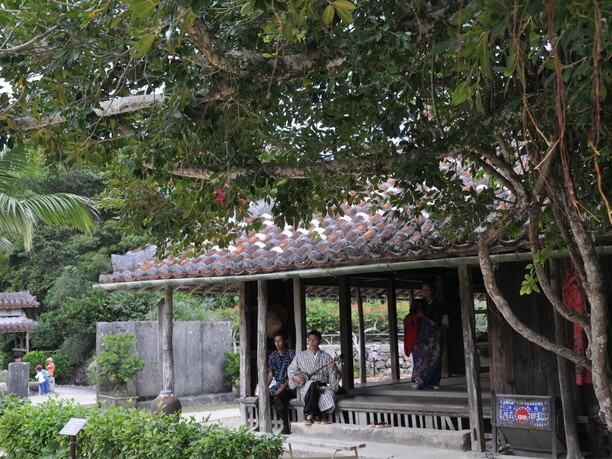 Like sitting quietly on the porch of the old House while imagining life in the Ryukyu era. Each old house hosts a different workshop that pays tribute to an experience from days gone by. You can choose from activities such as learning to play the shamisen, dyeing, textile, weaving fabric, or learning to cook sata andgi. There are over 70 different themes to choose from. There are so many in fact that people return again and again to continue to experience more of the old culture. It is a wonderful opportunity to relive the wonderful past of Okinawa. You can even bring home a wonderful handcrafted memento of the trip as a souvenir. In addition, you can enjoy watching Ryukyuan performing arts and other dancers in the Park of the Ryukyu Mura. There is also an Okinawa-style parade held daily. Please check the Ryukyu Mura brochure for the posted times of performances. So many activities to choose from, it is hard to choose! 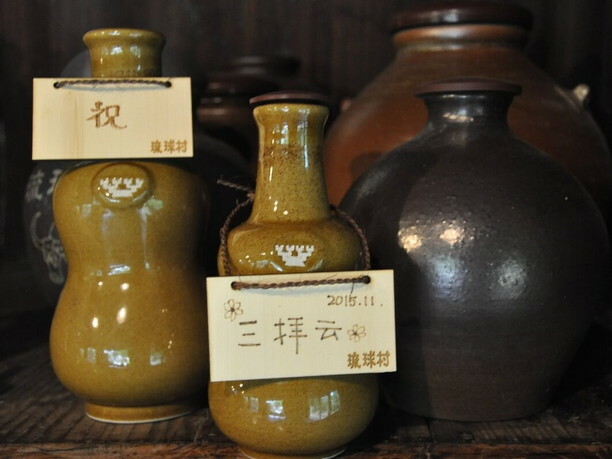 One of the experiences that we highly recommend that you experience is the “yushibin bottle experience.” It can take about 30 minutes but it is well worth it. 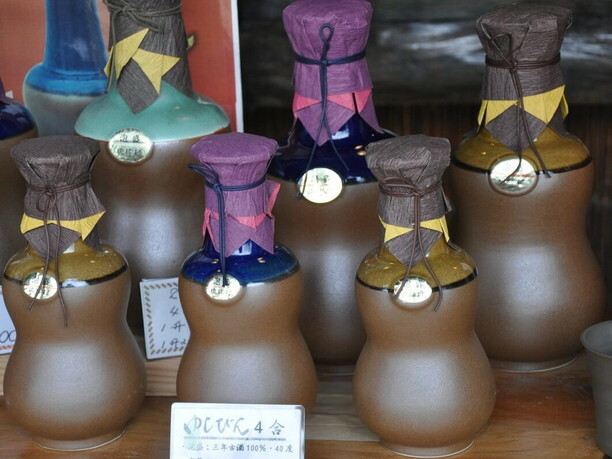 You select a Kariyushi sake bottle and have it filled with awamori. You can then walk about the village and drink the awamori in celebration of a good event in your life. 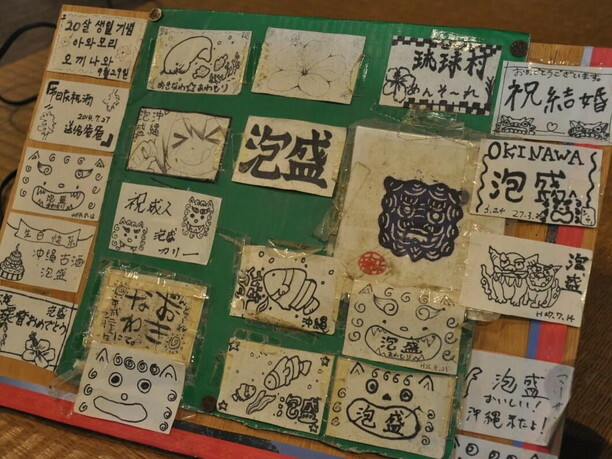 It is a great opportunity to learn about the making of the different types of awamori. You can enjoy the drink and have a wonderful souvenir to bring home as well. 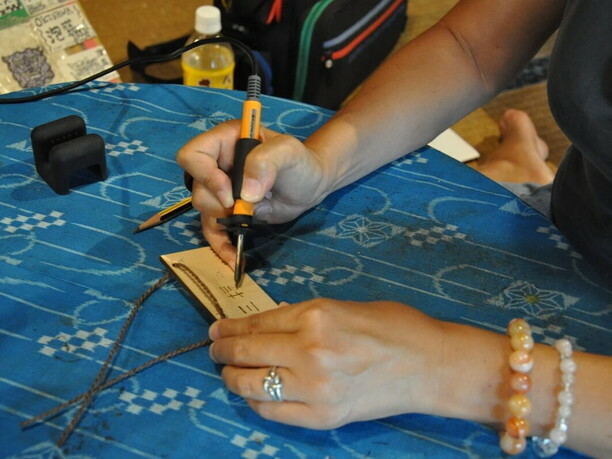 Part of the kariyushi bottle experience is to make up an original wood tag for your bottle. You first write it on the wood that use a special heated tool to engrave it into the wood. It becomes a great Okinawan souvenir, guaranteed! Visit the many TV and movie locations in the village! 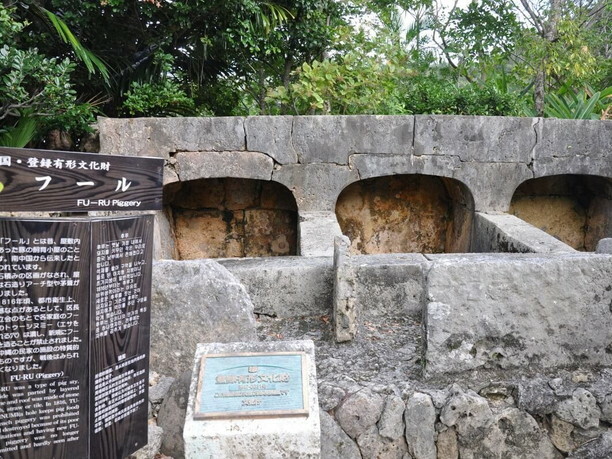 Ryukyu Mura has been used in the shooting of various films and television dramas for its remains of ancient Okinawa. One of the more famous uses was for shooting the film “the tempest” with actress Yukie Nakama (仲間由紀恵). Another famous use was for the Korea drama “scent of a woman”. Have fun and check out these “locations” in the village and get a slightly different perspective of the production experience. Three famous spots used in the film the “Tempest” are: (1) Park Central Square, (2) kyuhigake (3) Kyuhiratake furuato. One of the most famous filmed spots in the Korea’s popular drama “scent of woman” was the big banyan tree. They have also used the Okinawa-style parade in films. In addition to Japan and China collaborated films, this location has also been used for many community dramas in Taiwan and Korea. A Photo taken in one of the filming locations will make a memorable souvenir. 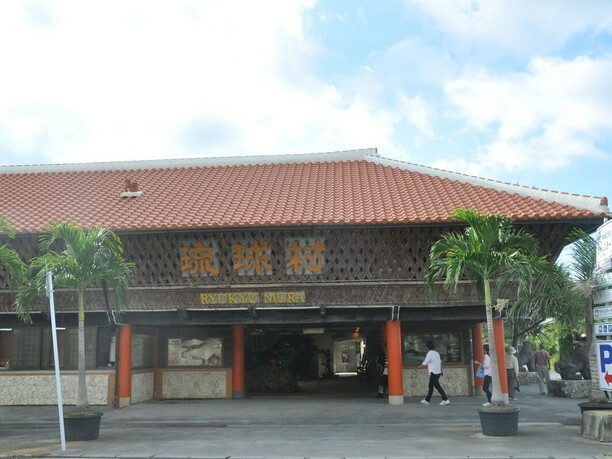 Ryukyu Mura information center sells tickets for the Ryukyuan village and the Aquarium. You can also book the day before on the internet and pay only 2750 Yen instead of the regular price of 3050 Yen. There is a service provided where you can dress in the traditional costume of the Ryukyu , era for 20 minutes and have a photo taken, with an optional 60-minute garden walk (service prices start at 4000 yen). On a rainy day you can still enjoy this spot. At the entrance area there is a “chanpuru" ( a big covered, waterproof area). 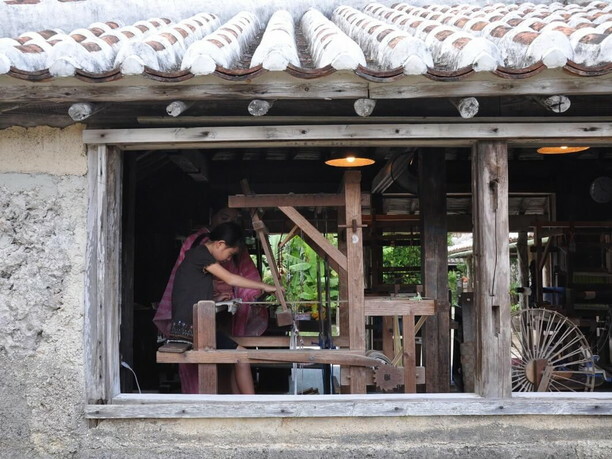 Here you can still have a Ryukyu experience by taking pictures, making accessories or Ryukyu glass. Special sightseeing power spots where you can enjoy yourself even on rainy days! 13 things we recommend you experience in Okinawa!